If you are new to the sport of fishing, and not sure if you will enjoy it, a great opportunity awaits you. California Department of Fish and Wildlife offer two Free Fishing Days each year. On these days, you can fish without a sport fishing license. Free Fishing Days provide a great, low-cost way to give fishing a try. Special Instructions: For more information visit: www.ocparks.com/freefishing. Black Star Canyon offers pleasant introductory trails for beginner hikers and families, and challenging experiences for seasoned trail users. Designated trails are available for self-guided access for hiking, biking and equestrian use by connecting various loops to offer extended exploration throughout the canyons. Take time to explore the local plant communities and beautiful scenery in easy 30-minute walks or take in 7 miles in a strong cardio trek. Special Instructions: Parking is limited on Black Star Canyon Road and carpooling is strongly encouraged. Participants are required to stay on designated trails at all times. Registration is required, sign up online at www.letsgooutside.org/wad. Discover the history found along the trails in beautiful Black Star and Baker Canyons from the back of your horse. Designated trails will be open for self-guided hiking, biking and equestrian use, where you can reach several peaks to view the local canyon terrain or meander along single tracks through the thick chaparral brush. Riders who have trail riding experience with a fit and able horse will enjoy choosing routes from easy 30-minute walks to strenuous 7 mile loops. Special Instructions: There is limited space for equestrian parking along Black Star Canyon Road, carpooling is strongly encouraged. Riders must also have the ability to transport their horse to the staging area. It is first come, first served for trailer parking and therefore pre-registration and early arrival is HIGHLY recommended. Registration is required, sign up online at www.letsgooutside.org/wadequestrian. 9:30 a.m. – 12 p.m. The Caspers Park Foundation hosts its monthly meeting in the Caspers Wilderness Park Nature Center. Please join for an interactive talk with a special guest. Special Instructions: Please contact the park office for more information at (949) 923-2210. Join Caspers Park Foundation volunteers for a 1-mile guided nature hike in the beautiful Bell Canyon area of Caspers Wilderness Park. The hike will last approximately one hour and is suitable for all ages. Location: Ronald W. Caspers Wilderness Park. 33401 Ortega Highway, San Juan Capistrano, CA 92675. Meet at the Old Corral Day Use Area. Special Instructions: Please contact park office for hike updates and cancellations. 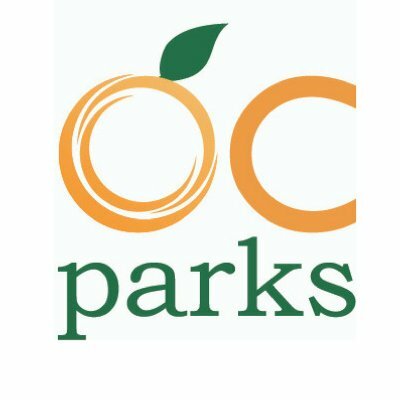 OC Parks invites you to join local herpetologist Steve Bledsoe at O’Neill Regional Park to learn all about snakes that can be found in Orange County. This family-friendly event will feature a live reptile display with local snake species. Come learn how to identify snakes, where they live and what to do when you encounter one on park trails. There will also be an informative presentation on rattlesnakes found in Orange County. Special Instructions: Meet at the Nature Center at 7:15 p.m. For more information visit: www.ocparks.com/snakesofoc. Join OC Parks rangers for a 1-mile nature hike in the beautiful Bell Canyon area of Caspers Wilderness Park. The hike will last approximately one hour and is suitable for all ages. Special Instructions: Contact park office for hike updates. Ready for a workout? Forget the gym for the day and head outside! Join us for an exhilarating morning fitness walk on the paved Hicks Haul Road. This hike allows you to choose between a 3, 6 or 8 mile route, all of which are conducted at the speed of about 3 to 3.5 miles per hour. Special Instructions: The road is paved and the terrain is smooth, so this is a great walk for anyone who wants a “wilderness experience” without getting dirty! We will have two fairly steep hill ascents and descents. Along the way, you will have sweeping views of much of Orange County and the Santa Ana Mountains. Various animals, like hawks, deer and lizards are also frequently seen in this area. Walkers should be confident in their ability to hike 3, 6 or 8 miles at a steady pace. Ages 16 and up. Low interpretation. Registration is required, sign up online at www.letsgooutside.org/tuesdaymorninghike. Please join Irvine Ranch Conservancy staff and volunteers as we work to restore and maintain the land along the new Waterworks Trail in Fremont Canyon! This is a stewardship activity and duties may include removing invasive plants, watering and weeding around existing native plants that were planted earlier in the year or other similar duties. Special Instructions: Ages 12 and up. Participants must wear sturdy, closed-toe shoes and preferably wear a long-sleeved shirt and long pants. Participants must also bring their own water as well as wear sunscreen and hats. Registration is required, sign up online at www.letsgooutside.org/waterworks. Join us every Monday and Wednesday nights for a fitness-focused hike on the paved Hicks Haul Road. During the spring, summer and fall, hikers will enjoy wonderful sunset views and a panoramic overview of Orange County. Special Instructions: This hike travels about 3.5 miles, up to the top of Loma Ridge and back down. The hike is conducted at about 3-3.5 miles per hour, but you may travel a bit faster or slower, at a walk, run or jog depending on your comfort level. Most participants finish the route in about 1 hour. Because of the paved surface of the road, you may wear regular running or walking shoes. Trail shoes are fine, but not required. Please bring adequate water! Registration is required, sign up online at www.letsgooutside.org/afterwork. This week in the Irvine Ranch Open Space, we’ll hike in Limestone Canyon to Dripping Springs. The hike is 7-mile loop hike which includes some hills and descents. In addition to the springs, we will enjoy panoramic views of the wildlands from East Loma. Special Instructions: Ages 12 and up. Please bring water, a trail snack, sunscreen, a hat, and any other necessary equipment to keep you safe on the trail, and wear sturdy, closed-toe hiking boots. Registration is required, sign up online at www.letsgooutside.org/thursdaytrek. Raise your heart rate and your spirits on this moderate, fast-paced, 6.5 mile hike over steep and uneven terrain (700 ft. elevation gain) with Laguna Canyon Foundation volunteers. Special Instructions: Ages 15 and up. Not for beginners, pace is approximately a 19-minute mile. Registration is required, sign up online at www.eventbrite.com/fitnesshike. Please wear hiking shoes and bring plenty of water. Join us for a strenuous, extremely challenging, fast-paced, afternoon cardio hike starting in Limestone Canyon. Along the way we’ll be rewarded with panoramic views of Orange County and possible wildlife sightings. Special Instructions: Ages 18 and up. Please bring a minimum of 70 oz. water and trail snacks. Come prepared with a pack, sturdy closed toed hiking shoes or boots, sunscreen, first aid, and all other supplies to keep you safe and healthy on the trail for the extreme fast-paced hike in a wilderness area. Registration is required, sign up online at www.letsgooutside.org/cardiohike. Take a leisurely double loop equestrian ride through beautiful Baker Canyon in the Black Star Wilderness Area, home of oak woodlands, grasslands, and coastal sage scrub. Special Instructions: Ages 16 and up. Riders should have trail riding experience and a fit and able horse. They must have the ability to transport their horse to the staging area. Registration is required, sign up online at www.letsgooutside.org/bakercanyonequstrianride. The County of Orange and OC Parks are pleased to present the annual Sunset Cinema film series, featuring 14 free movies at OC parks across the county. The 2018 OC Parks Sunset Cinema series continues with Moana at Buff Park at Salt Creek Beach. Join Laguna Canyon Foundation volunteers in beautiful Laguna Coast Wilderness Park at our native plant nursery as we care for native plants from their seed stage to their mature, ready-to-be planted stage. Volunteers may collect seeds, sow seeds in flats, bump plants up, plant at restoration sites, sterilize plant containers, and/or help maintain the facilities for the plants. Gain hands-on experience with habitat restoration while working alongside other zany and interesting plant lovers! Location: Laguna Coast Wilderness Park. 18751 Laguna Canyon Rd, Laguna Beach, CA 92651. Willow Canyon Staging Area (west side of Laguna Canyon Rd/SR-133, just south of El Toro Road). Special Instructions: Wear closed toe shoes, layered clothing and sun protection. Bring water. Youth ages 16 and 17 are eligible to volunteer with parent permission. A form is required to be signed by their parent or guardian prior to starting the volunteer activities. Youth under the age of 16 are not eligible to volunteer unless accompanied by an adult or guardian. For questions, call (949) 497-8324 Monday to Friday or (949) 923-2200 Saturday and Sunday. Registration is required, sign up online at www.eventbrite.com/nativeplant. Want to stand knee deep in rows of blooming color? Want to refresh your senses while giving back to nature? Then sign up to help behind-the-scenes at the Irvine Ranch Conservancy’s one-of-a-kind Native Seed Farm in Irvine! You will be harvesting seeds from quirky native summer wildflowers, like Yellow Pincushion and California Wishbone Bush. Absolutely no experience or special equipment required! The seeds you will pick has a direct impact on our local wildlife. It will be used out in the wild to re-grow animal habitat within the Irvine Ranch Natural Landmarks. The types you’ll help harvest were specially selected by our ecologists to provide animals with food and shelter, and also to buffer the negative impacts of floods and wildfires, which affect people too. Come help us harness the special traits of these plants to heal the wildland within the Landmarks! Special Instructions: Registration is required, sign up online at www.letsgooutside.org/harvesttime. Please note our Minors Policy as noted on the letsgooutside.org website: All minors (under 18 years of age) must be accompanied by their parent or legal guardian. They must also (both parent and minor) be registered for the Irvine Ranch Conservancy led program they wish to attend. Join O'Neill Regional Park naturalists and learn about the animals and nature of Trabuco Canyon. This will be a light to moderate walk on mostly paved roads. Special Instructions: Event is conditional on weather. Family Fossil day is a hands-on experience for all ages with real fossils The three-hour program will introduce you to the fossil history of Orange County. Participants age 6 and older will also be able to visit Clark Regional Park's marine fossil site. Location: Clark Regional Park. 8800 Rosecrans Ave. Buena Park, CA 90621. Meet at interpretive center. Special Instructions: Event is rain or shine. Pack a picninc lunch and stay for the day at the park following the program. For more information visit: www.ocparks.com/familyfossilday. Step back 25 million years in Orange County's history to a time when the seas receded and the San Andreas Fault was just starting to form. With a Laguna Canyon Foundation volunteer naturalist, discover the geologic processes going on today and how they affect the natural landscape. This moderate 3-mile hike is over uneven, steep and sometimes rocky terrain with a 300 ft elevation gain. Location: Laguna Coast Wilderness Park, James Dilley Preserve (I-5 or 405 south to 133 south to stoplight at 73 toll road; and make a U-turn, go 1 block. Dilley is on the right). Special Instructions: For ages 15 and up. Bring water, hiking shoes (hiking poles suggested), snacks, the field guides of your choice, and a sense of adventure! Registration is required, sign up online at www.eventbrite.com/geologyhike. Join preserve staff and other volunteers in enhancing Upper Newport Bay's habitat for local wildlife. Activities may include non-native plant removal, planting natives, watering, trash removal and garden maintenance. Special Instructions: Ages 12 and up. No experience is necessary. Water and tools are provided. Minors ages 16 and younger must have a legal guardian present at all times. Rain cancels event. Registration is required, sign up online at www.letsgooutside.org/secondsunday. Join Mile Square Park Staff for a beginning archery course for first time archers. This course will include a safety instruction and provide you with an introduction to the sport of archery. All archery equipment will be provided. Park in the overflow parking lot near the archery range. Special Instructions: Event and parking are both free. Rain will cancel event. Ages 12 and up. Children under 18 years of age must be accompanied by an adult. Registration is required, sign up online at https://letsgooutside.org/beginningarchery. Have you ever wondered, "Where are all the wild animals in the park?" Visit a Show and Share exhibit next to the Nature Center at O'Neill Regional Park and discover mysterious clues animals leave behind. Make a wild animal track mold. Enjoy nature, crafts and games. Show and Share exhibit activities from 9:00 a.m. to 10:30 a.m. Scavenger Hunt 9:00 a.m. to 10:30 a.m.
Special Instructions: Meet at the Nature Center Patio. For more information visit: www.ocparks.com/mysteriousworld. Discover the hidden canyons and trails found on the Irvine Ranch Natural Landmarks. These seldom hiked trails offer fantastic vista views, secluded oasis of oaks or rising rocky outcrops. Come take a stroll along the trails to discover the hidden gems of Orange County. We will listen to tales about how the geology was formed underfoot to tales of the plants and animals that call these protected habitats home. Special Instructions: Ages 13 and up. Please wear comfortable clothes and shoes for our hike as well as bring proper sun protection and water. Registration is required, sign up online at www.letsgooutside.org/discoverhiddencanyons. Tai Chi is an ancient Chinese exercise renowned for the benefits of its slow, non-stressful physical exercises as well as its meditative qualities. Baker Canyon offers a natural setting as a perfect location for deep breathing of the fresh air, energizing our internal energy (Qi) and using it to root ourselves to the land. The class will perform gentle warm up exercises directly associated with many of the moves and we will then learn and practice the Yang style. Special Instructions: The first hour will be dedicated to beginning students learning the first set and the second hour focuses on the advanced students to study the second and third sets. All participants are welcome to either participate or observe both sessions as the gate will be closed for the 2 hour duration. Registration is required, sign up online at www.letsgooutside.org/taichi. Learn about the many fascinating uses of California native plants during the pre-mission period on this 2-mile hike (490-ft. elevation gain) over steep and uneven terrain. This hike will focus on plants used historically for tools, food and building materials. Location: Laguna Coast Wilderness Park. 18751 Laguna Canyon Road, Laguna Beach, CA 92651. James Dilley Preserve (I-5 or 405 south to 133 south to stoplight at 73 toll road, make U-turn, go 1 block. Dilley is on the right). Come join us for some after-work exercise on the Mesa Loop. The hike will cover close to 3 miles round trip at a moderate pace and will offer us beautiful panoramic views of the surrounding canyons. Also, keep your eyes open for any animals starting their nightly routines. Special Instructions: Please bring water and wear sturdy shoes. A flashlight with a red tinted light is not required but might be nice to have as it will be dark out when we finish our hike. Registration is required, sign up online at www.letsgooutside.org/evninghike. Join OC Parks and Laguna Canyon Foundation for a morning of habitat restoration work in the Pecten Reef area of Aliso and Wood Canyons Wilderness Park. Help us create a healthier habitat for the native plants and wildlife that call the park their home. Depending on the time of year, volunteers will assist with various restoration activities including removal of non-native plants, seed collection, and/or planting of native plants. Special Instructions: Ages 17 and up (must have waiver signed by parent). Lunch and refreshments served. Trail to be determined closer to event and notification will be sent to those signed up. We will be meeting at the Aliso Viejo Community Park on the opposite end of the middle school. Registration is required, sign up online at www.eventbrite.com/trailstewardship. Explore beautiful Wood Canyon and discover its native flora and fauna with Laguna Canyon Foundation volunteer naturalists on this steep, uneven and rocky, 5-mile hike (depending on trail choice, up to a 500 ft. elevation gain). We will stop from time to time, spending moments to discover. Location: Aliso and Wood Canyons Wilderness Park. 28373 Alicia Parkway, Laguna Niguel, CA 92677. Begin at Wood Canyon Trail off Canyon Vistas in Aliso Viejo. From Pacific Park/Canyon Vistas intersection, go northwest on Canyon Vistas. Park legally (note street signs) on or near Canyon Vistas, preferably between Coastal Oak and Madia (22100 region of Canyon Vistas). Special Instructions: Registration is required, sign up online at www.eventbrite.com/discoveryhike. This hike isn't for beginners. Please wear closed toe hiking shoes, sun protection and bring plenty of water. Stretch your mind and body on this 2.4-mile hike with a yoga twist over steep and uneven terrain (100-ft. elevation gain) led by Laguna Canyon Foundation volunteers. Location: Aliso and Wood Canyons Wilderness Park. 28373 Alicia Parkway, Laguna Niguel, CA 92677. Begin at Wood Canyon Trail off Canyon Vistas in Aliso Viejo. From Pacific Park/Canyon Vistas intersection, go northwest on Canyon Vistas. Park legally (note street signs) on or near Canyon Vistas, preferably between Coastal Oak and Madia (22100 region of Canyon Vistas). Wood Canyon Trail starts as a paved sidewalk between a neighborhood park and tree-lined easement, then becomes dirt trail into the canyon. Hike leaders and participants will meet at the end of the paved sidewalk, entering the canyon. Special Instructions: For ages 12 and up. Please bring a towel and water, yoga mat optional. For questions, call (949) 497-8324 Monday to Friday or (949) 923-2200 Saturday and Sunday. Registration is required, sign up online at www.eventbrite.com/yogahike. Raise your heart rate and your spirits on this strenuous, fast-paced, 5.5 mile hike over steep and uneven terrain (571-ft elevation gain) with Laguna Canyon Foundation volunteers. Location: Laguna Coast Wilderness Park. 18751 Laguna Canyon Road, Laguna Beach, CA 92651. Willow Canyon Staging Area (west side of Laguna Canyon Rd/SR-133, just south of El Toro Road). Park and walk up the gravel trail 100 yards to get to the small native plant nursery, just before the trailers. 9 a.m. – 12:30 p.m.
Connect with nature and give back to the land as we assist native plants and wildlife flourish in an extremely sensitive area of Limestone Canyon Preserve. You will ride through the canyon in a safari-type vehicle to the Dripping Springs Trail where you may water or add native plants. In addition we will give existing native plants room to thrive as we weed out invasive plants. As a bonus we will hike approximately 2 miles round-trip to Dripping Springs; a fern-covered rock face dripping with life-giving water creating an essential watering hole for wildlife in the canyon. Your work along this trail will not only benefit the plants and animals, but you will be supporting its continued beautification and protection. Special Instructions: It is essential that you wear long pants, closed toe shoes and long sleeves for this activity, as there are inherent dangers on the trails such as poison oak, a variety of bugs and plants that could be abrasive. We have some gloves, but you may be more comfortable with your own. Please come prepared. No special skills are needed. Tools will be provided. Registration is required, sign up online at www.letsgooutside.org/giveback. Come find out what kinds of animals we find on our own continent! Class includes hands-on learning, fun crafts, and meeting zoo animals up close! Special Instructions: Ages 3 to 4 years old only. Parent must accompany child for duration of program. Registration is required! Call (714) 973-6846 to register. Come end your day with a quiet walk through the calming canyons on the Irvine Ranch Natural Landmarks. We will watch for soaring red-tailed hawks, listen to birds quietly sing, and inhale the fragrance of fresh sage. Shed away the day’s repetitions and join us as we take a “slow walk” into Baker Canyon, mindful of all that is happening around us. Special Instructions: Registration is required, sign up online at www.letsgooutside.org/hikelooklisten. Enjoy the relaxation of riding in the wilderness on empty trails and join us on this docent led mountain bike ride through Limestone Canyon. We will visit Dripping Springs which is a fern covered, year-round source of water for the local wildlife. The ride will also stop at the west viewing deck for the Sinks and will continue on Limestone Canyon Road for a more panoramic view of the Sinks. Special Instructions: This is a slow-paced ride designed for the beginner that has experience riding fire roads such as Limestone Canyon or Telegraph Canyon, but wants to develop their climbing and riding abilities. The ride can also be enjoyed by more advanced riders looking for a relaxed ride in a beautiful setting. Registration is required, sign up online at www.letsgooutside.org/weekday. The County of Orange and OC Parks are pleased to present the annual Sunset Cinema film series, featuring 14 free movies at OC parks across the county. The 2018 OC Parks Sunset Cinema series concludes with Jaws at Buff Park at Salt Creek Beach. Lend a helping hand and join volunteers around the world for Coastal Cleanup Day. Make an impact on our coastlines as we work together to remove trash and recyclables from the marsh, waterway, and beaches. Location: Upper Newport Bay Nature Preserve. 2301 University Drive, Newport Beach, CA 92660. Meet at the Peter and Mary Muth Interpretive Center. Special Instructions: Get ready to get dirty! Please wear old clothes and closed toed shoes or rain boots as most locations are muddy. Help reduce plastic use by bringing gloves and a bucket if you have them. You can also bring a reusable water bottle. Registration is required, sign up online at www.coastkeeper.com/uppernewportbay. Wolf Haven International, a nonprofit sanctuary for captive-born wolves, presents Wolves, Coyotes and Wildlife, a family friendly educational program about wolf behavior, biology and social structure. This education program takes a close look at the differences and similarities between wolf and coyote biology, behavior, social structure, historical and current ranges, and ecosystem roles. As wild wolves are now naturally recolonizing back into California, the program focuses on hiking and backpacking in wolf country. We’ll also look at how our domesticated dogs compare and contrast with these wild canids. The mission of the program is to embrace biodiversity and facilitate peaceful coexistence of all species. Special Instructions: For more information visit: www.ocparks.com/wolvedcoyotesandwildlife. Help park rangers in Peters Canyon Regional Park remove invasive and non-native plants to keep native habitat healthy, in turn helping the wildlife thrive. Special Instructions: Please bring water, sunscreen, hat, snacks, gloves and closed toe shoes. Ages 12 and up. Registration is required, sign up online at www.letsgooutside.org/3rdsunday. Capture the beauty of Black Star’s Red Rocks in the early morning light. Many of us have enjoyed looking at the color and geometry of this rock formation from Black Star road. However, due to the distance, the texture and detail of the rock surfaces is missing. In addition, we have missed the total picture that includes the surrounding wilderness with its trees, creek and animals. Special Instructions: Bring your camera equipment or just yourself and enjoy this iconic rock formation. We will enjoy several viewing/photo stops at picturesque locations. Registration is required, sign up online at www.letsgooutside.org/photo. Raise your heart rate and your spirits on this strenuous, fast-paced, 6-mile hike over steep and uneven terrain (400-ft elevation gain) with Laguna Canyon Foundation volunteers. Special Instructions: Ages 15 and up. Registration is required, sign up online at www.eventbrite.com/fitnesshike. This is a strenuous, fast-paced hike. Please be sure you can maintain a 19-minute mile pace. Special Instructions: Please bring a minimum of 70 oz. water and trail snacks. Come prepared with a pack, sturdy closed toed hiking shoes or boots, sunscreen, first aid, and all other supplies to keep you safe and healthy on the trail for the extreme fast-paced hike in a wilderness area. Each participant must carry his or her own pack and water. Under-prepared participants may be denied access to this program. Registration is required, sign up online at www.letsgooutside.org/cardiohike. In September, some of the birds that breed in the north return to their winter feeding grounds in the warmer south. Many of them stop along the way at sites like Agua Chinon. Join other birders as we search for migrating as well as resident birds by both ear and eye in this beautiful arroyo canyon. Special Instructions: Registration is required, sign up online at www.letsgooutside.org/birding. Take a leisurely equestrian ride through beautiful Limestone Canyon, home of oak woodlands, grasslands, and coastal sage scrub. View evidence of the old ranch days when cattle once roamed the area, and see some of the wild flowers that are native to our area. You will also see some of the designated natural landmarks of the area. Location: Limestone Canyon Nature Preserve. Special Instructions: Registration is required, sign up online at www.letsgooutside.org/lureandlull. Join us for an hour of creativity and fun with an animal theme! Class includes hands-on learning, fun crafts and meeting zoo animals up close! This is a stenuous, fast-paced hike. Please be sure you can maintain a 19 minute mile pace. Please arrive 15 minutes early. Raise your heart rate and your spirits on this strenuous, fast-paced 5.5-mile hike over steep and uneven terrain (900 ft. elevation gain) with Laguna Canyon Foundation volunteers. Location: Laguna Coast Wilderness Park. 18751 Laguna Canyon Road, Laguna Beach, CA 92651. James Dilley Preserve (I-5 or 405 south to 133 south to stoplight at 73 toll road; and make a U-turn, go 1 block. Dilley is on the right. Special Instructions: Ages 15 and up. Registration is required, sign up online at www.eventbrite.com/fitnesshike. Please wear hiking shoes and bring plenty of water. Come learn about birds that can fly and even those that can’t fly! Class includes hands-on learning, fun crafts, and meeting zoo animals up close! Come along with us on this fast-paced morning hike through beautiful Limestone Canyon Nature Preserve to the East Sinks Viewing Deck. You’ll be rewarded with a spectacular view of The Sinks as well as sweeping views of Orange County and the Santa Ana Mountains. This hike involves steep climbs and descents on both double and single-track trails. Special Instructions: Ages 18 and up. Each participant must carry their own day pack and water and be comfortable hiking an average moving pace of 3.5-4 miles per hour. Please make sure you bring a minimum of 70 oz. (2 quarts) of water and trail snacks. Under-prepared participants may be denied access to this program. Please come prepared. Registration is required, sign up online at www.letsgooutside.org/eastsinks. Come join wildlife photographer Kim Michaels, Certified Interpretive Guide, and enjoy a rare look into the lives of hummingbirds. Michaels has captured the entire six-week nesting process, including detailed images of a chick’s birth, growth, first flight, and fledge. Enjoy a revealing look at female hummingbirds, nature’s hard-working single moms. Learn about the hummingbird circle of life. See how a mother hummingbird builds her nest and raises her chicks. Special Instructions: For more information visit: www.ocparks.com/hummingbird. Spot local native and seasonal resident birds with Laguna Canyon Foundation volunteer naturalists on this slow and easy 2-mile walk through a landscaped suburban parkland setting at Mason Regional Park. No experience necessary! Location: William R. Mason Regional Park. 18712 University Drive, Irvine, CA 92612. Turn right at the stop sign after the park entrance and park in Parking Lot A. We will meet at the Butterfly Habitat at 9 a.m.
Special Instructions: Wear hiking or walking shoes; bring binoculars! Ages 12 and up (minors must be accompanied by adult). Registration is required, sign up online at www.eventbrite.com/birdwalk. Come join us for a fun themed craft project anytime between 10 a.m. and 3 p.m.! Crafty Kids Sunday features FREE craft activities in the Muth Interpretive Center’s Discovery Classroom. Special Instructions: All ages are welcome, recommended for ages 2 to 10 years old. No registration is required. Children must be accompanied by an adult. Come out to Clark Regional Park on the last Sunday of every month to learn about the animals that ruled the land 10,000 years ago and the animals living in Orange County today. Visit the Show and Share activity table for hands-on exhibits and discover the similarities and differences between past and present animals. Ashley and I encourage and welcome our readers to submit comments about their experiences on the trails we have posted on our blog or about their own hiking experiences in general.